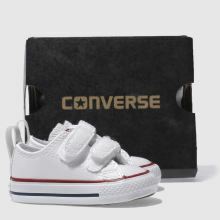 Getting your little one ready has never been easier thanks to the Converse All Star 2V. 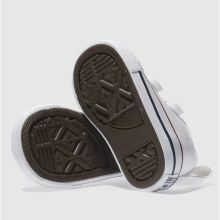 Arriving in white, this man-made plimsoll features hook-and-loop fastening straps for a no-fuss wear. Iconic red and navy branded sole unit completes.